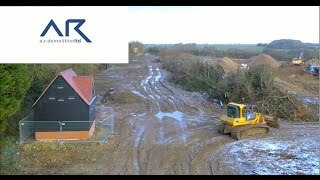 To complement our demolition services – AR provide a range of civil engineering and earthworks activities. In order to maximise our clients program and budget, we can utilise our in-house expertise to provide groundworks such as - bulk excavation, cut/fill excercises, reduced level dig and piling mat installation. Being centrally located in Nuneaton, Warwickshire we are able to offer our civil engineering services extensively throughout the UK.